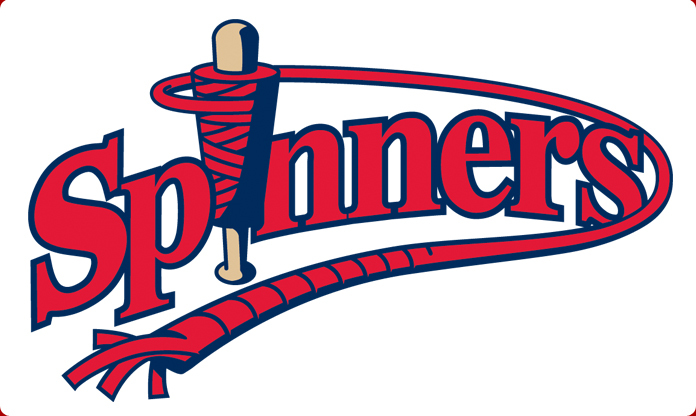 By now you may have heard, last night’s 7-0 shellacking of the Mahoning Valley Scrappers gave the Spinners their eighth shutout of the season, a club record. With 23 games to go, it’s not out of the realm of possibility that the Spinners will add to that figure before the season is done. Also on pace to break the franchise’s ERA record, this years pitching staff is clearly the biggest reason why the Spinners find themselves on top of the NYPL Stedler division. Although the traditional “starting five” of the major leagues doesn’t neatly translate to single-A ball (Jonathon Aro, for instance, routinely pitches large chunks of games while actually starting just once this year), it’s not hard to find the main culprits while watching the Spinners brutalize and bewilder opposing batters. There are six Sipnners who have pitched upwards of 37 innings this year, while no one else has pitched as many as 20, and four of those six have been downright dominant. The staff is unofficially led by Columbian-native Sergio Gomez, who turns just 20 in a few weeks. After pitching six shutout innings last night, Gomez now leads the team in innings pitched (50.2), ERA (1.60) and strikeouts (55). The lanky righty spent three years in the Gulf Coast League before being called up at the end of last year and is still considered raw. However it’s hard to imagine him starting next year in Lowell the way he’s dominated his single-A competition. Simon Mercedes has also impressed this season, although as of late he has come back down to earth. In 42.1 innings this season, Mercedes is 2-1 with a 2.98 ERA. With a 1.37 WHIP, Mercedes has managed to keep his ERA sub-3 by holding opposing batters to hitting just .265 with runners on base. In his first full season with the Red Sox organization Mercedes has masterfully complimented his fastball with a curveball and change up. Next on the list is the aforementioned Dominican righty Jonathon Aro. This season Aro has seldom pitched more than four innings per appearance but has dominated in his role as long reliever. With excellent command and an above average fastball, Aro is third on the team in strikeouts (31) while having walked just eight. Although he pitched well in his two previous seasons in the Dominican Summer and Gulf Coast leagues, Aro never dominated as he has this year, currently sporting a 2.39 ERA. Ty Buttrey is the team’s most traditional starting pitcher, having started all eight games he has appeared in. After getting smacked around in his first start on June 22nd (the start doubles as the shortest stint (3.1 IP) and most runs he has allowed (4) this season), Buttrey has become remarkably consistent. At 6’3, 230 pounds the big North Carolina native holds a 2.65 ERA and is currently listed as the seventh-best pitching prospect in the Red Sox organization, per soxprospects.com. If he continues to pitch as well as he has in his first full season with the Red Sox, look for the 20 year old to climb the organization fast.